via video conference. Sessions begin at 12:30 pm Central Time and will last one hour. Ready to make a change and are in need of accountability and support to make it happen! 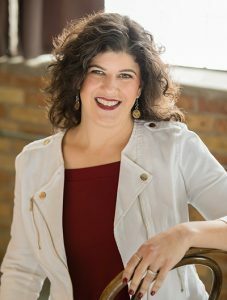 I’m Tami Palmer, a Job Search Coach, Career Advisor, and Fiction Writer. 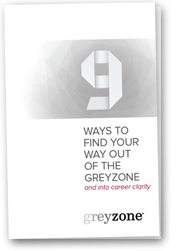 My company, greyzone, offers job search support, resume writing, and LinkedIn training for those seeking support, accountability, and professional direction. As a former recruiter, I can offer insights into what happens on the other side of the desk, so that you can run the most effective job search possible. And as a writer – I help you tell YOUR story. Job Search Strategy. Learn the importance of leveraging 2nd-degree connections via LinkedIn to network within targeted corporations. Look at the broader landscape of networking. Review cover letter tips, and touch on interviewing and salary negotiation. I took Tami’s Job Seeker Video Workshop and found it to be just what I needed to kick-start my career launch. Tami was incredible helpful in providing tips for applying to jobs and interviewing. She gave us great info on how to create a solid resume and cover letter which was very helpful as the last time I did this was 5+ years ago. She also made an effort to understand what everyone’s personal pain points were in the job seeking process and addressed those. She is very knowledgeable and inspired me. After applying some of her advice, I have already secured more interviews just one week out of the workshop series!